Remember that digital-first Superman series that Orson Scott Card was going to write an issue of before the unholy wrath of the internet descended upon DC? Well, now that the controversy has died down and Card's issue has been postponed indefinitely, DC's rotating teams of writers and artists have been putting out some pretty great books. The latest and greatest is the three issue run by J.T. Krul and Marcus To that concluded today. Spoilers ahead! The first issue featured a rookie Man of Steel tossing around some alien scouts before being reprimanded by the ghost of Jor-El for not blending in. "I didn't send you to Earth to be their protector. I sent you so that you would be protected." The conflict between the two deepens in the second issue, as the Phantom Zone ghost of Zod explains just how brutal Kryptonian punishment could be. The alien leader Mongul then returns to Earth to do some damage. Kal-El swoops in to assist the overmatched US Army, but commanding officer General Lane just sees another alien and fires on both. 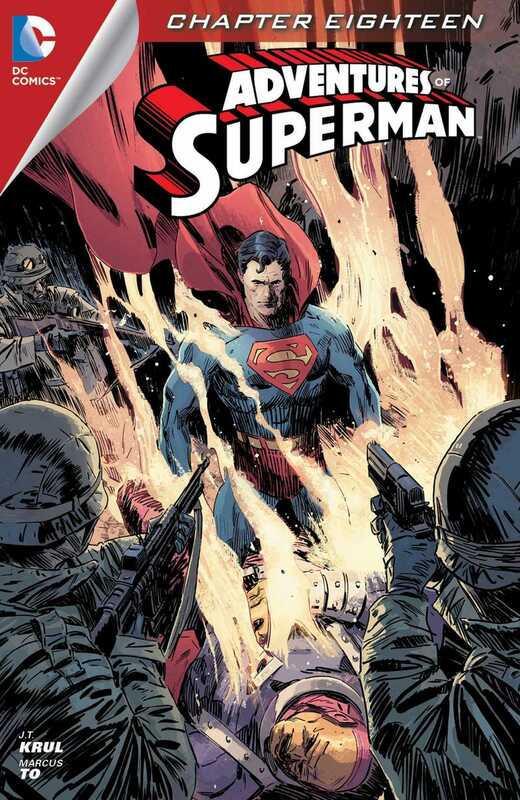 The third issue is where the story really shines, requiring Superman to deal with a distrustful army and a dangerous alien criminal, all while staying true to his principles. It's smart, touching, and deftly ingrains itself in the larger DC universe without feeling forced. In just 66 half-sized pages, Krul and To put together a simple, powerful introduction to the big blue boy scout that's more than cinematic enough to have formed a strong framework for a Superman movie. If you were disappointed (or, like me, outright angered) by Man of Steel, check out Adventures of Superman #16-18. They're $0.99 an issue from Comixology.